This model is still Manufactured and many different sized sieves or parts are available. Mill has been disassembled, cleaned, verified oil gallies are clean and oiling correctly. Calibrated using gauge from Southwestern Industries. APPROXIMATE MACHINE WEIGHT ……. 2,750 LBS. RUN CAM & MUCH MUCH MORE! Mill has just been serviced and calibrated and is in very good condition. 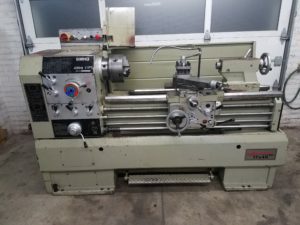 Nardini MS1440E Gap Bed lathe. 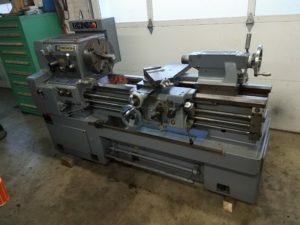 Lathe is in very good condition. Lathe has been disassembled,cleaned, and adjusted. All oils have been drained and flushed and filled with correct oil. Cross slide screw has .004 backlash and operates smoothly. Automatic feed disconnect on X and Z axis. 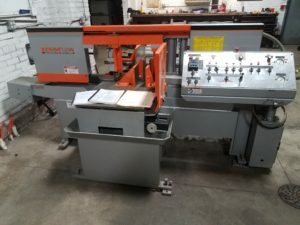 Saw can cut precision miter or straight cuts. with AGE Prototrak 2 axis cnc control. 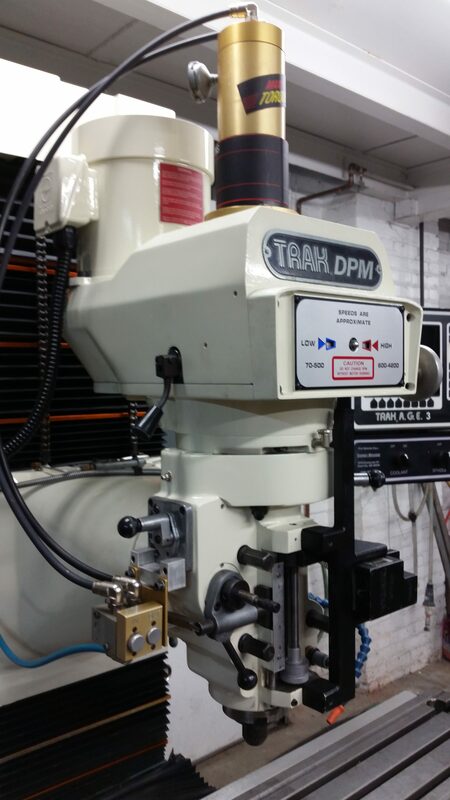 Mill has be calibrated by proto trak technician and will come with paperwork stating machine tolerance and repeatability. Mill has NOT been painted or had any parts replaced! 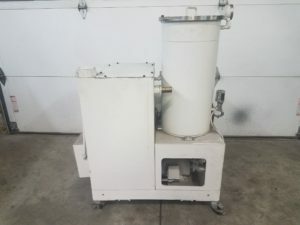 This mill has Zero wear and is good as New! 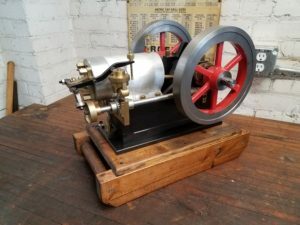 Hand built Sideshaft Model Hit & Miss Engine. Engine is built from high grade materials. Engine will include coil and battery to operate engine. Engine starts very easy and runs slow. 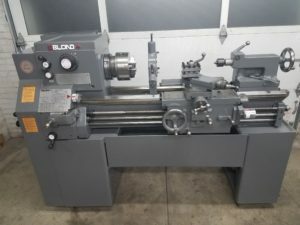 Proto Trak CNC Lathe with SLX controler. 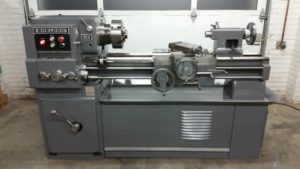 Lathe will be Calibrated and certified by Proto trak and will come with Paperwork. 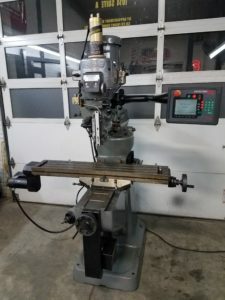 Lathe is powered and can be tested! Spanner wrench2 axis Dro Pros Magnetic scale Digital Read Out. Cross slide and lead screw are in great condition. Cross slide ,compound, saddle ,and oiling system disassembled ,cleaned and adjusted. Headstock drained , flushed and filled with New oil. This is a Mori-Seiki. Parts are interchangeable with Whacheon and available with next day delivery if needed. 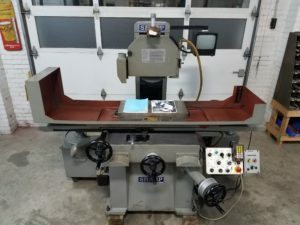 Large Heavy Duty 22″x80″Gap Bed Lathe. Will swing 30+ “s with gap out. 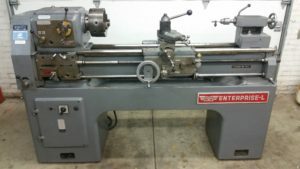 Lathe is powered and can be tested. Cross slide and lead screw are in perfect condition. (Flaking marks still visible on cross slide see pictures. This is a licensed copy of Mori-Seiki. All parts are interchangeable and available. Great Bench that you can pull a chair up to , and get your legs underneath for comfortable and relaxed TIG welding or fabricating. Base is made out of 2″ x 4″ Rectangular Steel Tube. 220 volt 3 phase I can supply converter at no charge. Will load on truck or trailer at no charge! On Factory built cast stand. Press is in very good condition. Thor Tool and Die Company. 1 lever unlocks both top and bottom platter for indexing. .
Platters are coupled with chain and sprockets. 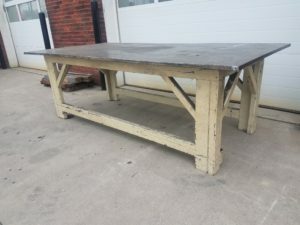 48″ wide table Layout table. Ways are very good condition. New bearings and belt in Variable speed. Press has been disassembled ,cleaned, and painted. Royal Morse taper #5 Live Center. Coolant plumbed through the tool Changer. Lathe has a onboard transformer that can be used to wire lathe 208-480 volts 3 phase. Romi and Given a A+ report. Lathe is under power and can be tested. This is a like New machine with very little use. Blade size: 11/4: X 15’8″X.042 thk, shut off switch if blade breaks. Brush: powered brush assembly-brush size 1/2″ X 40. Electricals: 7.5 HP drive motor, 220/440 vac, 30, 1800 RPM, ball bearing TFC, 1/6 HP sealed submersible coolant pump. Drive mechanism is totally enclosed, running in oil, gear reducer with variable speed drive 60-400 (FPM). Semi-automatic saw operation: When material is placed in vise and cycle is initiated; motor will turn on, vise will clamp and arm will cut through material. When material is cut: motor will turn off and saw arm raises and clamp opens. Transformer to provide low voltage for 24 volt logic solid state circuit. hydro-pneumatic power saw arm lift to give controlled feed rates and adjustable clamping pressures. 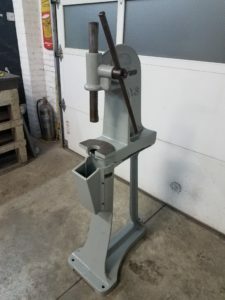 Pneumatic controlled vise to clamp material. Adjustable clamping pressure. Optional equipment: 10′ X 20″ Roller load table (attaches to saw). Economy brand ,Die Cart ,Lift table. New 12 volt Deep Cycle Battery. It’s is powered by 110 volt single phase. Also have model 121 included for parts. New X and Y screws and Brass Nuts. 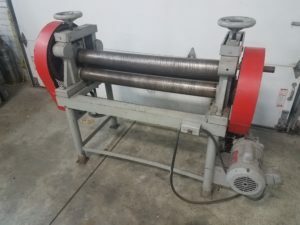 Power roller with Single phase 220volt motor. Machine is under power and can be tested. 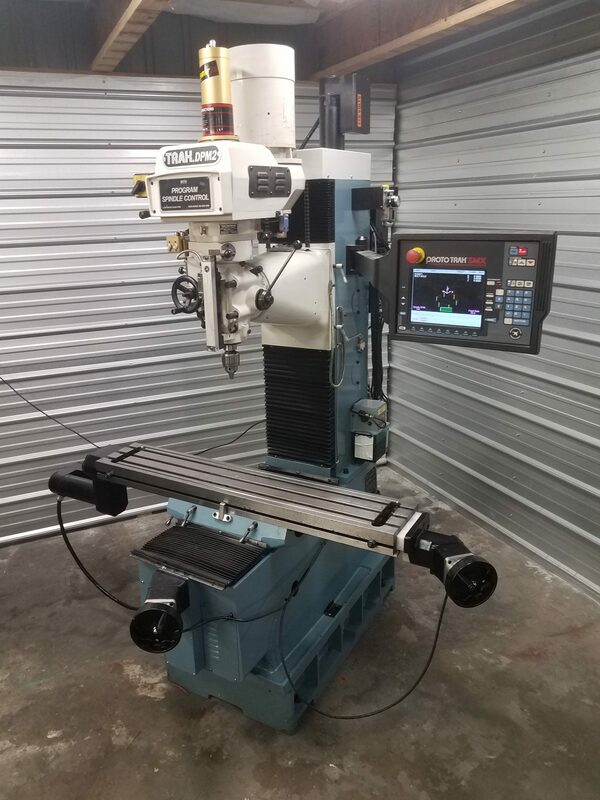 SOUTHWESTERN INDUSTRIES Proto Trak CNC VERTICAL MILL 3 axis MODEL: QUIK CELL, S/N: 028B11188, NEW:2002 Mill has New Programming Pendent from Southwestern Industries with Warranty Mill has been disassembled, cleaned, verified oil gallies are clean and oiling correctly. Calibrated using gauge from Southwestern Industries. SPECIFICATIONS: TABLES SIZE …………………. 19-5/8″ X 14″ T-SLOTS …………………….. 5/8″ x 4 x 3-1/8″ TRAVELS: TABLE (X-AXIS) ……………… 14″ SADDLE (Y-AXIS) ……………… 14″ HEAD (Z-AXIS) ………………. 18″ SPINDLE TAPER ……………….. # Cat40 ( Can use NMTB 40 if draw bar is changed) SPINDLE SPEED RANGE ………….. 250 – 5000 RPM SPINDLE CENTER TO COLUMN FACE …. 15-3/4″ SPINDLE MOTOR ……………….. 2 HP MAX WEIGHT OF WORKPIECE ………. 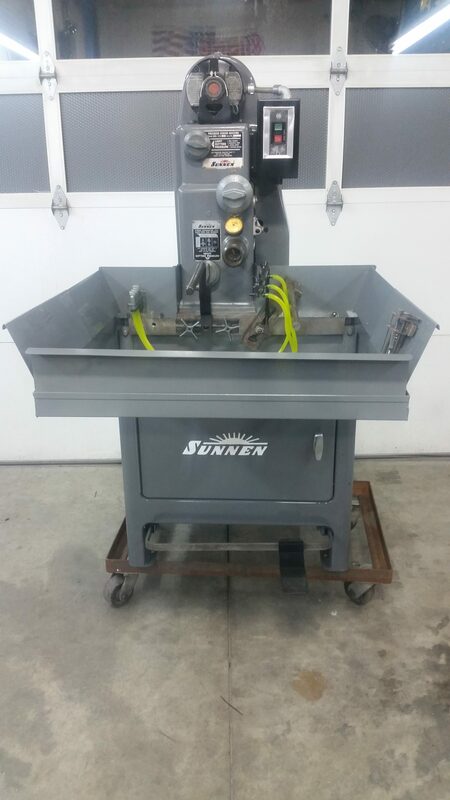 880 LBS MAX SPINDLE NOSE TO TABLE …….. 18″ APPROXIMATE DIMENSIONS ……….. 31″L x 54″W x 80″H APPROXIMATE MACHINE WEIGHT ……. 2,750 LBS. 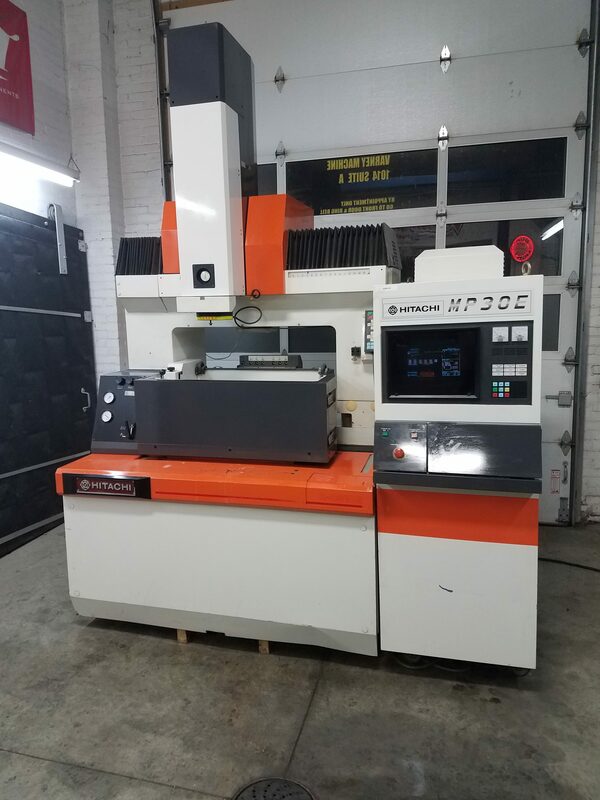 EQUIPPED WITH: PROTO-TRAK MODEL: QMV CONTROL, AUTO GEOMETRY ENGINE, LINEAR & CIRCULAR INTERPOLATION, THREE AXIS, ROTATE OR MIRROR, RUN CAM & MUCH MUCH MORE! BALL SCREWS & SERVO MOTORS FOR X,Y & Z AXES AC SPINDLE DRIVE HANDWHEELS Kurt Power Lock POWER DRAW BAR HARDENED & GROUND WAYS AUTOMATIC LUBRICATION SYSTEM Fog Buster COOLANT SYSTEM 2 HORSE POWER SPINDLE MOTOR Mill is powered and can be tested Will load on truck or trailer at no charge. 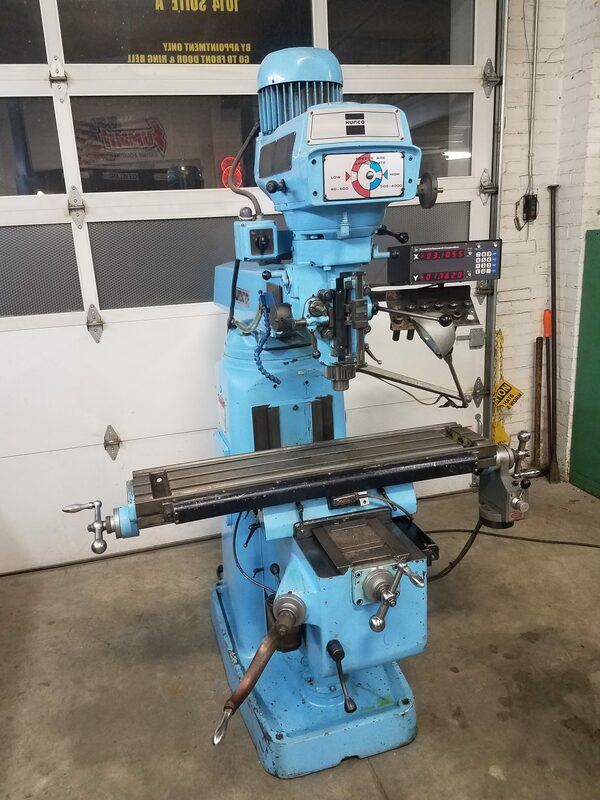 Southwestern Industries Proto Trak B3 Sport ( like DPM3) Vertical Bed Mill with M3 CNC Controls This is a very nice machine with Original Paint The following Service has just been Completed All new bearings in variable speed head Including New variable speed belt. New sleeve and pulley on Spindle Table removed and cleaned. All oil gallies have been cleaned, flushed, and verified oiling correctly. Ball screwed cleaned and flushed with new oil. New rubber lines replaced to ball screws This is a very nice Mill that runs smooth and quite. Video of machine operation can be shared upon request. 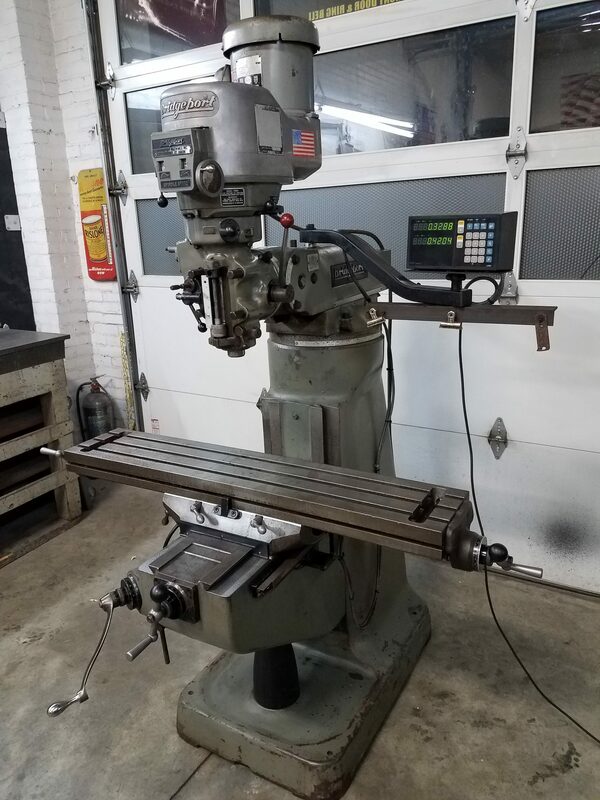 Table size 50″ X 10 ” ~ with 3 t-slots Travel X-29 / Y-16″ / Z-24.150″ Maximum weight of work piece: 1,320 LBS Milling head swivels right & left: 90 Degrees Quill travel: 5″ Spindle taper: #40 N.S.T (3) power quill feeds: .002; .004; .006 IPR Distance, center-line of spindle to face of column: 17.3″ Variable spindle speeds 70-4200 RPM Full 3-axis CNC machining control or hand wheels for manual operation Precision and ground ball screws installed in table(X), saddle(Y), and column(Z) 3 H.P. spindle drive motor Approximate Weight: 4,200 Lbs. 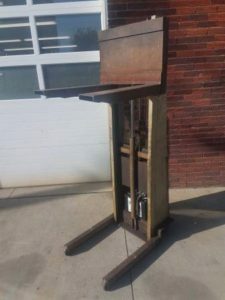 Approximate Dimensions: 71″ x 71″ x 84″ H Equipped With: Dual floppy disc drives RS 232 port Automatic lubrication system (cleaned,flushed, and filled with new oil) Kurt power draw bar. Oiler has been clean ,filled and adjusted. 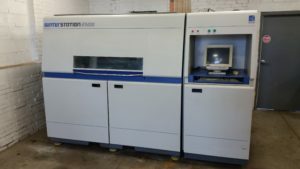 Southwestern Industries, Inc. DPM SX2P Bed Mill 2013 model year with the ProtoTRAK SMX3 Control Mill has just been serviced and calibrated and is in very good condition. Mill has brand new power draw bar installed Mill is powered and can be tested Will load on truck or trailer at no charge. 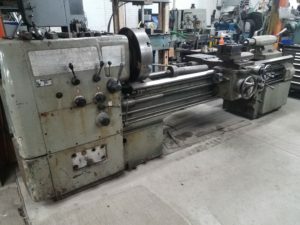 Nardini MS1440E Gap Bed lathe. 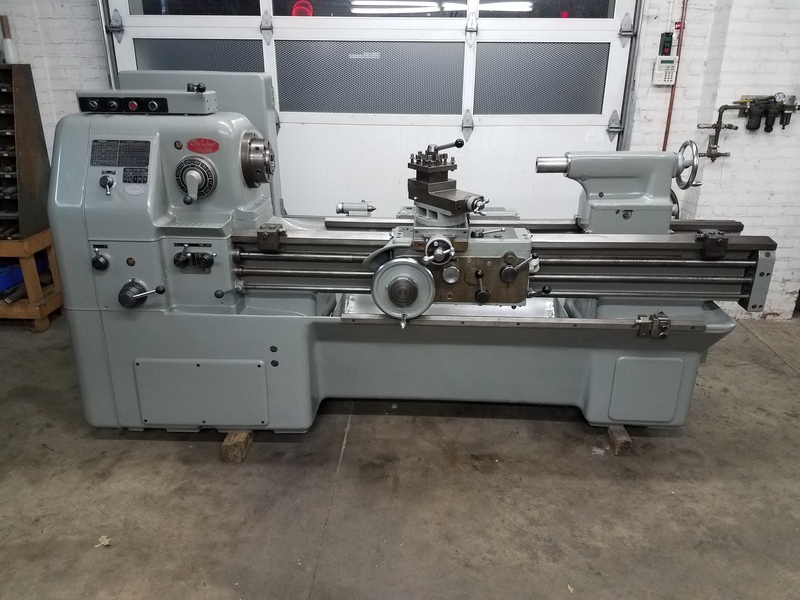 Lathe is in very good condition. Lathe has been disassembled,cleaned, and adjusted. All oils have been drained and flushed and filled with correct oil. Cross slide screw has .004 backlash and operates smoothly. 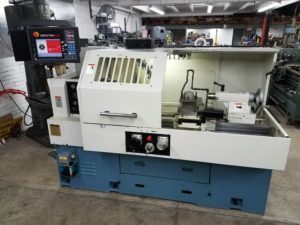 Lathe features Automatic feed disconnect on X and Z axis. Swing Over Bed: 14″ Swing Over Cross Slide: 7-7/8″ Swing In Gap: 19-3/4″ Distance Between Centers: 40″” Cross Slide Travel: 8″ Top Slide Travel: 4″ Spindle Speeds: (18) 31.5 to 2500 RPM Tailstock Quill Diameter: 2″ Tailstock Taper: No. 3 MT Tailstock Quill Travel: 5-1/8″ Number of Threads: 192 Metric Threads: (45) .40 to 7 Inch Threads: (48) 3.5-42 TPI Module Threads: (48) .1 to 1.75 Diametral Pitch Threads: (48) 14 to 168 Pitch Of Leadscrew: 4 TPI Number of Feeds: 192 Longitudinal Feeds, Inch: .0016 to .399 in/rev Longitudinal Feeds, Metric: .042 to 1.013 mm/rev Cross Feeds, Inch: .0007 to .0213 in/rev Cross Feeds, Metric: .019 to .542 mm/rev Equipped With: 8″ 3 jaw. (Runout checked at .0015″) 10 ” 4 jaw. Drill chuck Quick change tool post. Micrometer stop Coolant pump system OSHA approved spindle Guard. 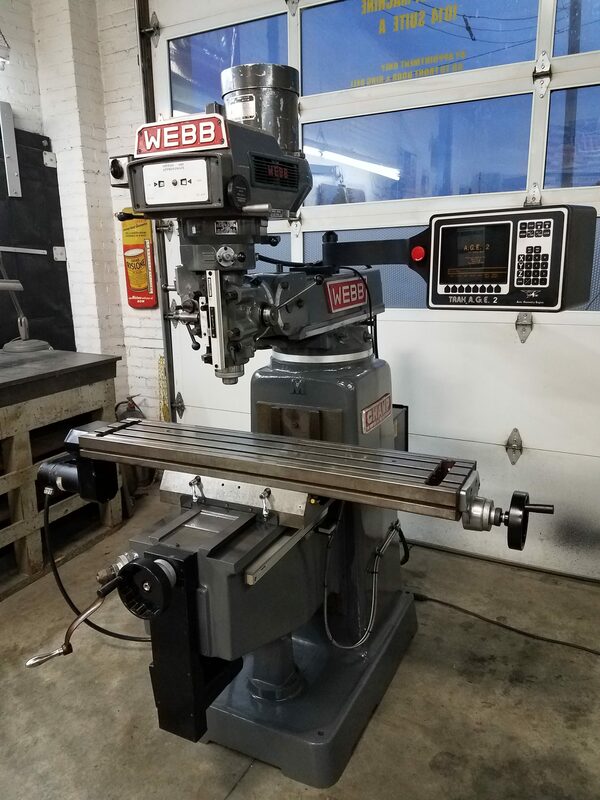 Webb Vertical Mill 10″x50″ Table with AGE Prototrak 2 axis cnc control. 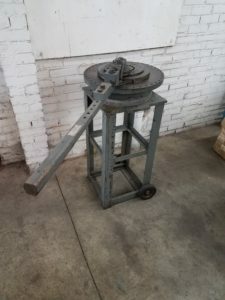 3hp spindle. Mill has just been inspected and Serviced Including New variable speed belt ,bearings and head inspected Table removed and cleaned. Verified oiling system is working correctly. Reassembled and Gibbs adjusted. 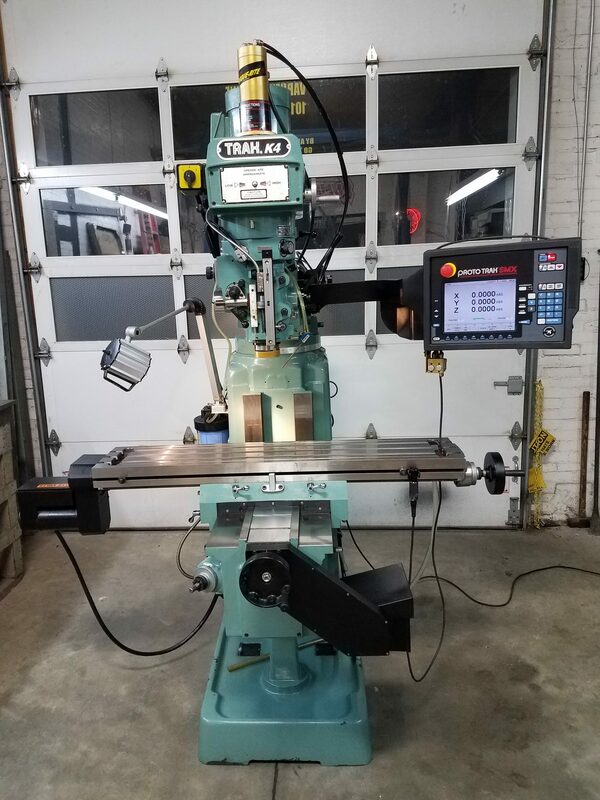 Mill has be calibrated by proto trak technician and will come with paperwork stating machine tolerance and repeatability. Mill is powered and can be tested. Any questions please call Brandon Can load on truck or trailer at NO charge. 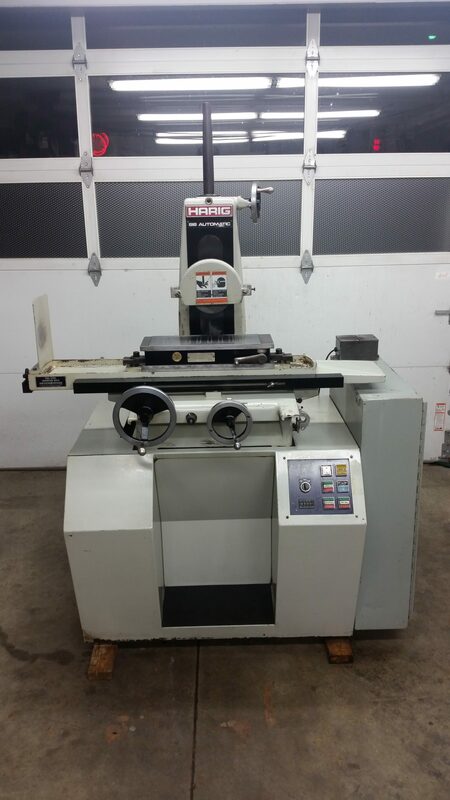 For Sale Large Heavy Duty 22″x80″Gap Bed Lathe. Will swing 30+ “s with gap out. 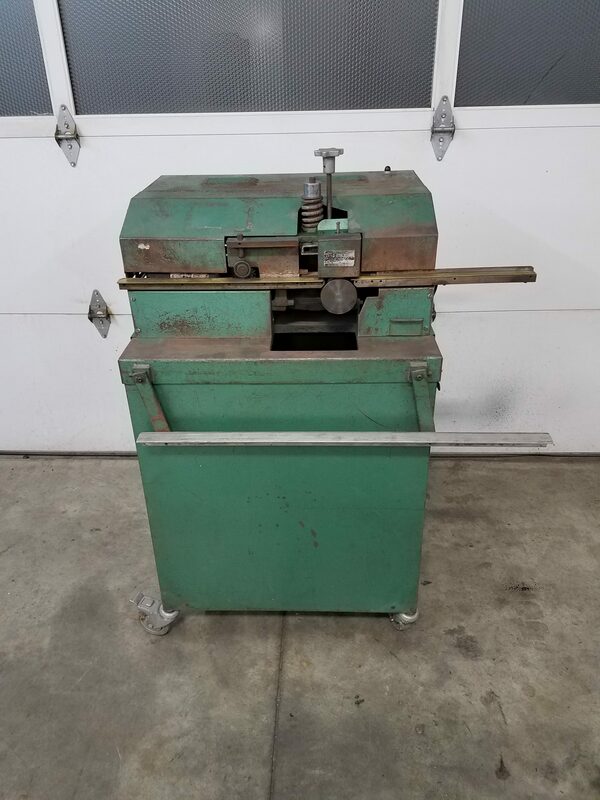 2.900″ Spindle bore 20” 4 jaw chuck Metric and English threading. Taper attachment Steady Rest Follower Rest. Quick change tool post and tool holders #5 Morris taper tailstock Assortment of carbine indexable cutting tools Drill Chuck Live Centers. Permanent Live center for tailstock Morris Taper Adapters Chuck key. 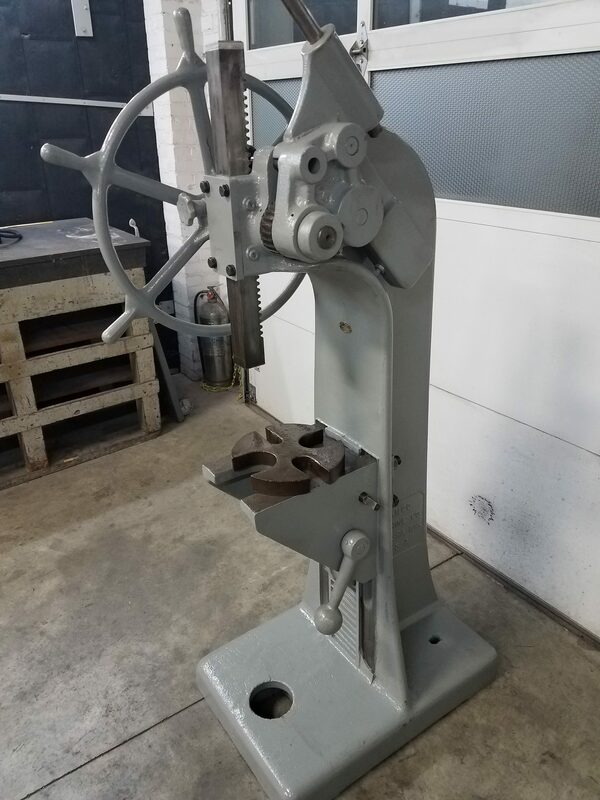 Original Manual including Parts and electrical diagrams Maintenance schedule Lathe has power rapid traverse X and Z axis 15 hp drive motor. 220 volt 3 phase. Lathe is powered and can be tested. Any questions please call Brandon Can load on truck or trailer at no charge. 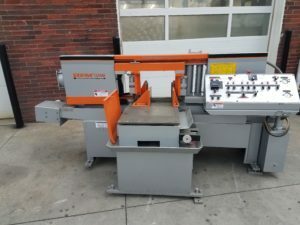 Southwestern Industries Proto Trak DPM 3 Vertical Bed Mill with A.G.E. 3 CNC Controls This is a very nice machine with Original Paint The following Service has just been Completed All new bearings in variable speed head Including New variable speed belt. New sleeve and pulley on drive motor. Table removed and cleaned. All oil gallies have been cleaned, flushed, and verified oiling correctly. Ball screwed cleaned and flushed with new oil. New rubber lines replaced to ball screws This is a very nice Mill that runs smooth and quite. Video of machine operation can be shared upon request. I just had Proto Trak technician , calibrate and adjust machine. Including a full report of Mill. 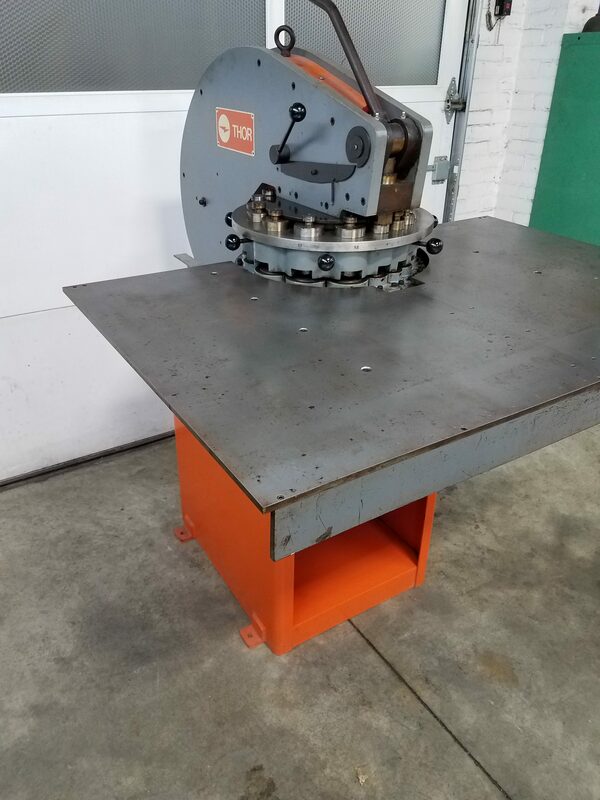 (see pictures) S/N-011BF10973 New in 2001 Table size 50″ X 10 ” ~ with 3 t-slots Travel X-29 / Y-16″ / Z-24.150″ Maximum weight of work piece: 1,320 LBS Milling head swivels right & left: 90 Degrees Quill travel: 5″ Spindle taper: #40 N.S.T (3) power quill feeds: .002; .004; .006 IPR Distance, center-line of spindle to face of column: 17.3″ Variable spindle speeds 70-4200 RPM Full 3-axis CNC machining control or hand wheels for manual operation Precision and ground ball screws installed in table(X), saddle(Y), and column(Z) 5 H.P. spindle drive motor Approximate Weight: 4,200 Lbs. 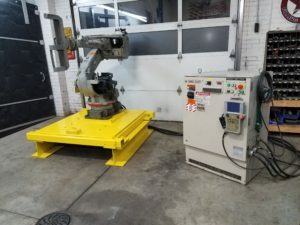 Approximate Dimensions: 71″ x 71″ x 84″ H Equipped With: Dual floppy disc drives RS 232 port NEW Telescoping way covers on Z and Y axis Leveling pads Automatic lubrication system (cleaned,flushed, and filled with new oil) Torque-Rite power draw bar. Oiler has been clean ,filled and adjusted. Any questions please Call Brandon Machine is powered and can be tested. Will load on truck or trailer at no charge. 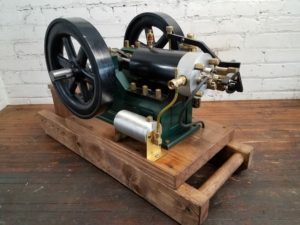 MAKE WHACHEON ALL Original MODEL HL- 435 ( serial number 2211780) SWING 17″ (26″ with gap removed) CENTERS 40 IN MOTOR 5HP 220—440 VOLTS 3 PHASE (Switches on control panel have been replaced and function correctly) SPINDLE D 1-6 spindle with 2.100 spindle bore 10″ 3 jaw chuck (thru-adjust) 4 jaw 12″ chuck Coolant pump Quick change tool post. Micrometer Carriage Stop SPEEDS (12) 32—-1800 THREADS Inch / metric Cross slide and lead screw are in perfect condition. (Flaking marks still visible on cross slide see pictures. Cross slide ,compound, saddle ,and oiling system disassembled ,cleaned and adjusted. Headstock drained , flushed and filled with New oil. TAIL STOCK # 4 MORSE TAPER This is a licensed copy of Mori-Seiki. All parts are interchangeable and available. 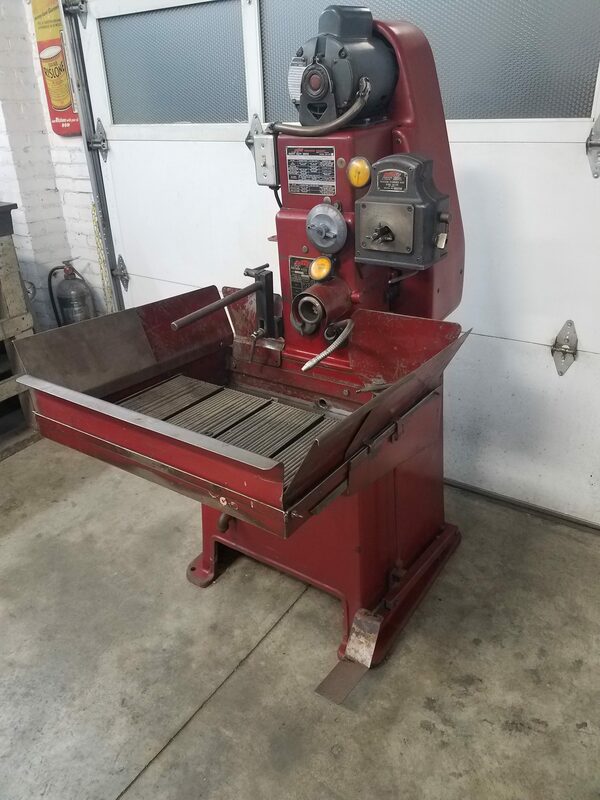 Very nice running lathe can be inspected under power Any questions please call Brandon Local pickup Can load on truck or trailer at no charge. 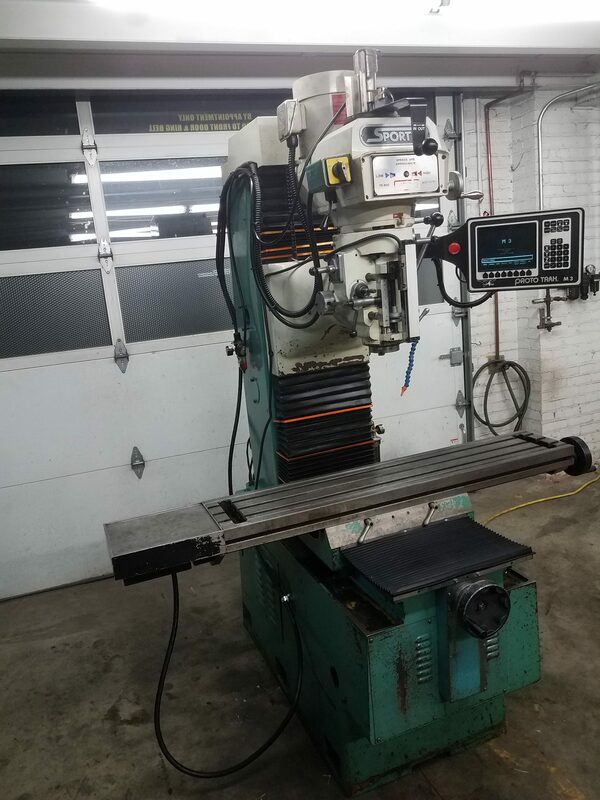 For sale is a Bridgeport Variable Speed vertical mill. 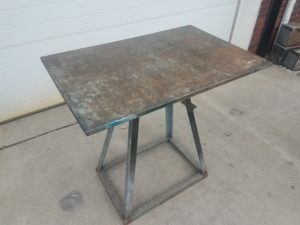 9″x42″ Table. 2 horsepower One Shot Lube System. Chrome ways New X axis brass nuts Y axis screws and Brass Nuts. power quill cleaned and adjusted. Backlash on feed screws are-.010″ or less and operate smoothly Mill is currently wired 230 volt 3 phase. 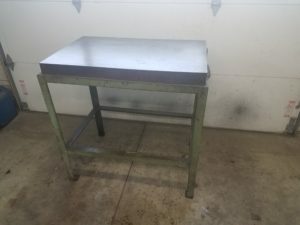 For Sale Welding table 24″x36″ 3/4″ thick Steel Top 34″ tall Well built Can load on truck or trailer at no charge. Hone includes “Light Cutting Pressure Control” for precision work work light Mandrels that come with hone , range from 3/16″ – 1″ quantity of 23 Larger Mandrels are available at additional cost 220 volt 3 phase I can supply converter at no charge. Hone is Powered and can be tested Any questions Please Call Brandon Will load on truck or trailer at no charge! 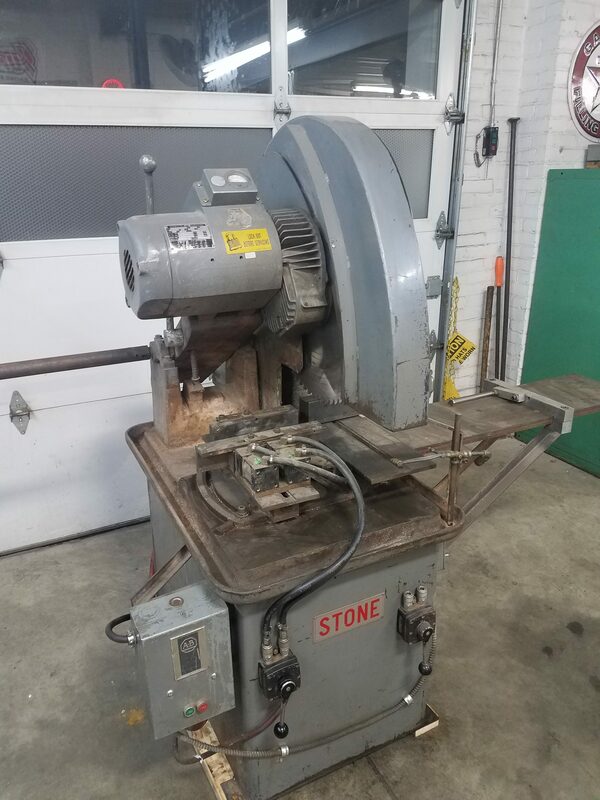 Bridgeport Vertical mill 9″ x 48″Table. 2 HP variable speed Chrome ways in Perfect condition (see pics) Automatic 1 shot lube pump. R-8 collet set Power Drawbar. Video of machine running. 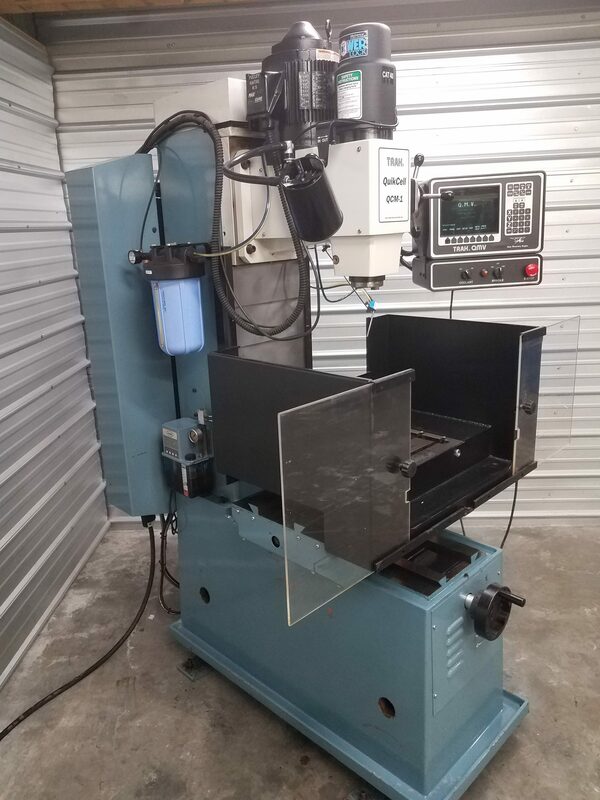 Southwestern industries Proto Trak Edge 2axis Cnc control with 3 axis DRO (Manufactured 2006) Table chip and coolant enclosure available at extra cost (see pic) Enclosure has interlock switches on doors and also coolant returns. 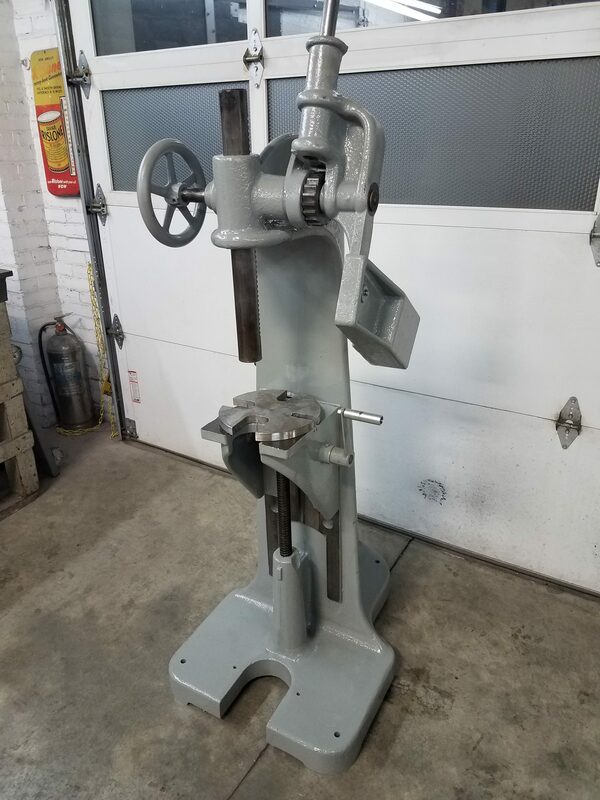 Vise and tooling available at extra cost Mill has just been inspected and Serviced Including New variable speed belt and head inspected Table removed and cleaned. Verified oiling system is working correctly. Reassembled and Gibbs adjusted. 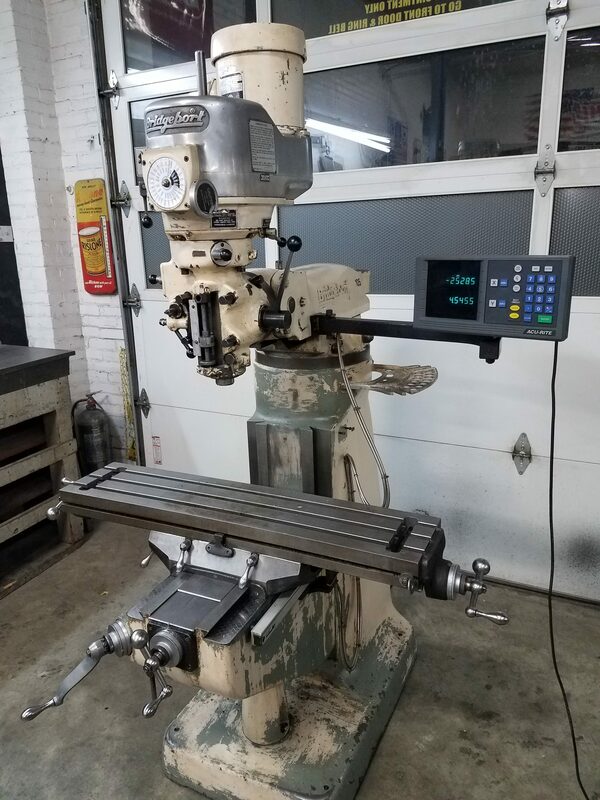 Mill will be calibrated by proto trak technician and will come with paperwork stating machine tolerance and repeatability. Mill is powered and can be tested. Any questions please call Brandon Can load on truck or trailer at NO charge. 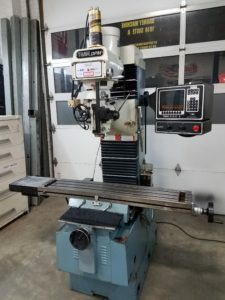 I also have 2 other Proto Trak mills just about complete , Bridgeport and a Webb with 10×50 table Proto trak lathe 18″ x 45″ Slx control with 4 position automatic Star tool Changer. 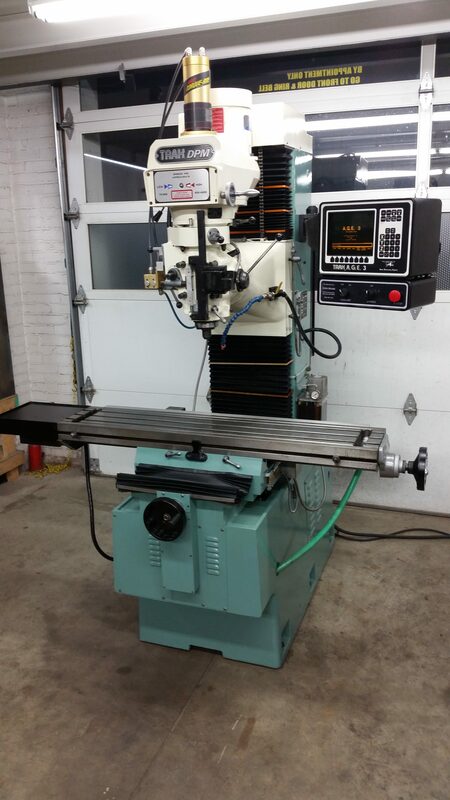 This is a great deal for someone looking for a like New CNC MILL At about half the price. Greenerd #3 Arbor Press 3 ton On Factory built cast stand. Press is in very good condition. US made. Thor Tool and Die Company. Model 2018 18 position 1 lever unlocks both top and bottom platter for indexing. . Platters are coupled with chain and sprockets. Works very Smooth and Efficiently Small hole is 1/8″ – large hole is 2″ 17 ton. 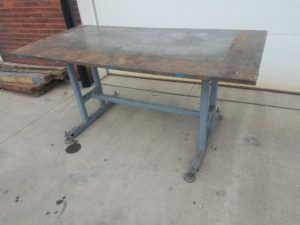 Hand operated Punch 48″ wide table Layout table. With 1″ grid scribed vertical and horizontal ,to use with adjustable fence Comes on factory stand. 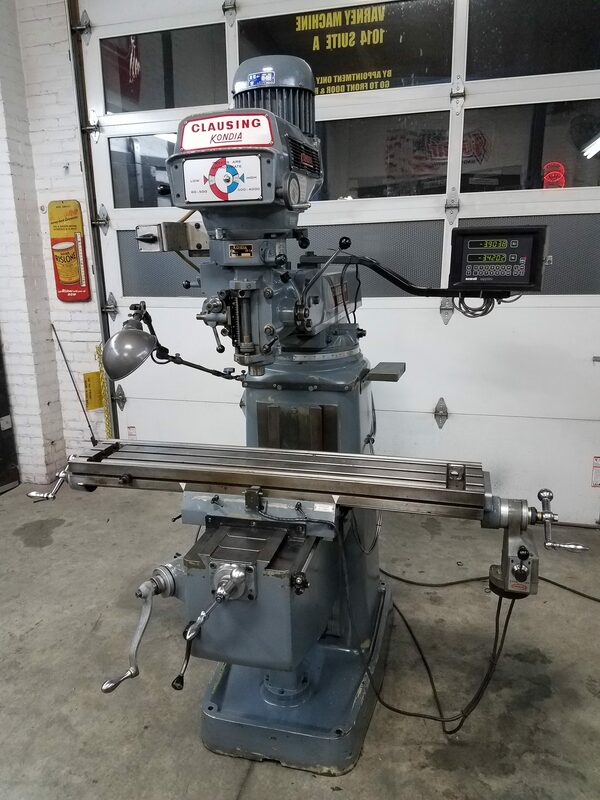 Clausing Kondia vertical milling machine. 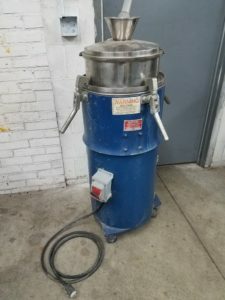 Bridgeport style Model FV-1 Variable speed Drive R-8 spindle 9″x48″ Table. Servo 150 Powerfeed Newell digital read out. Ways are very good condition. Mill has just been serviced including New bearings and belt in Variable speed. All oil gallies cleaned flushed and verified oiling Gibbs adjusted 3hp 3 phase motor. Currently wired 230 volts. Mill is powered and can be tested. 2013 Manufactured VERY LOW HOURS. 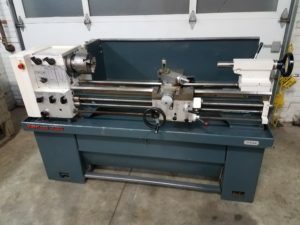 24.5″ x 74″ 620mm X 2 meters Siemens CNC CONTROL ASA A2-8 Spindle nose Direct Drive Spindle 104mm (4.09″) thru the spindle hole 1 to 1800 rpm SAUTER 8 position Tool Changer. Made in Germany 3 Boring bar holders for ID Work Threading tool Turning tool Boring bar. 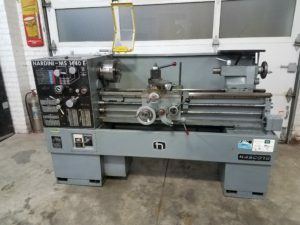 16″ Bison 3 jaw chuck 16″ 4 jaw Bison Chuck (NEW) Romi Manuals and Software backup Royal Morse taper #5 Live Center. Coolant tank and pump Coolant plumbed through the tool Changer. Lathe has a onboard transformer that can be used to wire lathe 208-480 volts 3 phase. Lathe has just been inspected and Serviced by Romi and Given a A+ report. 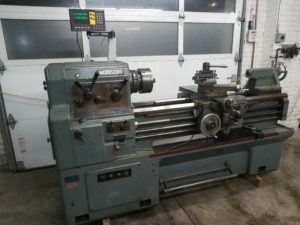 (Can supply report if interested) Lathe is under power and can be tested. This is a like New machine with very little use. 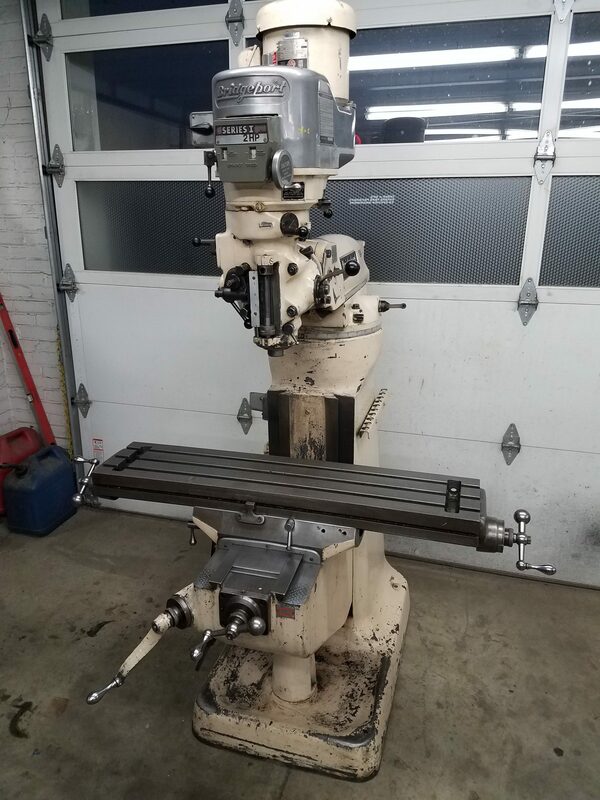 Hurco (Clausing Kondia) vertical milling machine. 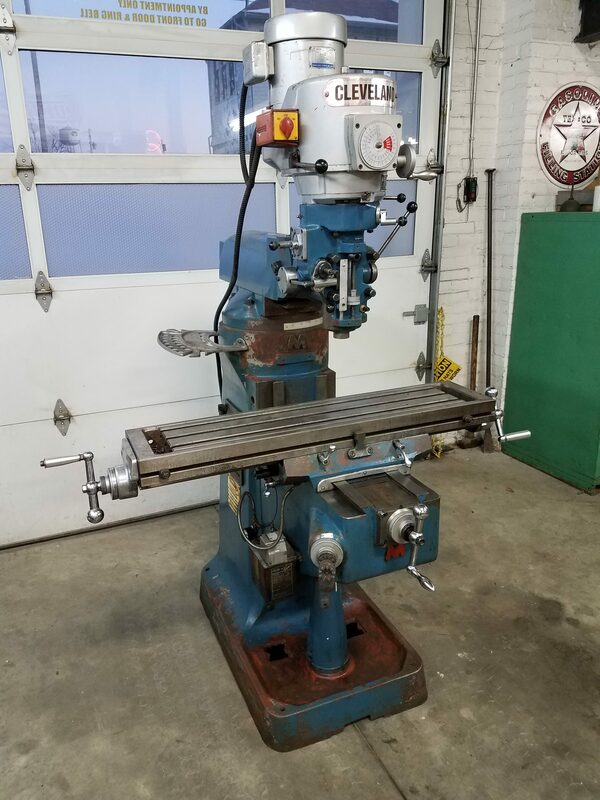 Bridgeport style Model FV-1 Variable speed Drive R-8 spindle 9″x42″ Table. Servo 150 Powerfeed Digital read out. Plus Mitutoyo Z axis Digital Scale Ways are good condition. Mill has just been serviced including New Brass feed Nuts X and Y axis. All oil gallies cleaned flushed and verified oiling Gibbs adjusted 3hp 3 phase motor. Currently wired 230 volts. Mill is powered and can be tested. Any questions please call Brandon Can load on truck or trailer at no charge. Collets ,vise and tooling available at extra cost. 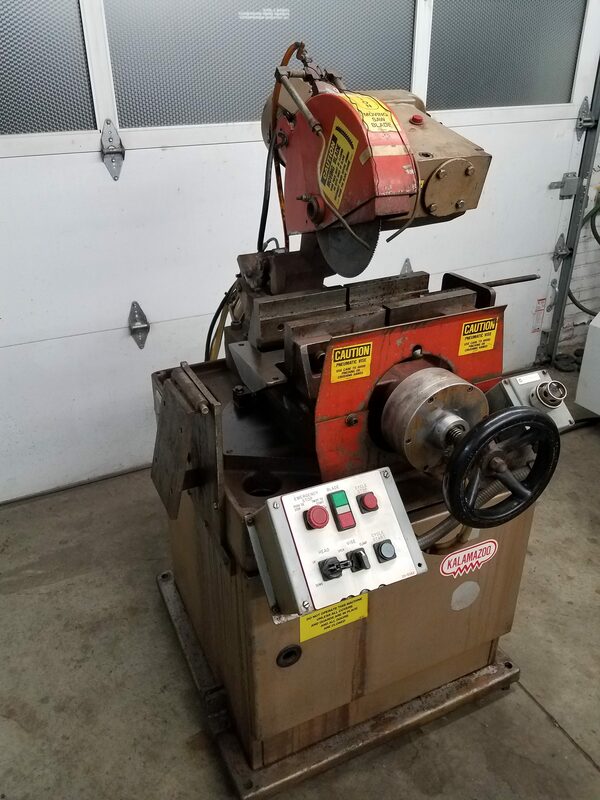 Saw capacity: 16″ square, 16″round, 20″ flat Blade size: 11/4: X 15’8″X.042 thk, shut off switch if blade breaks. Brush: powered brush assembly-brush size 1/2″ X 40. Electricals: 7.5 HP drive motor, 220/440 vac, 30, 1800 RPM, ball bearing TFC, 1/6 HP sealed submersible coolant pump. Drive mechanism is totally enclosed, running in oil, gear reducer with variable speed drive 60-400 (FPM). Semi-automatic saw operation: When material is placed in vise and cycle is initiated; motor will turn on, vise will clamp and arm will cut through material. When material is cut: motor will turn off and saw arm raises and clamp opens. Transformer to provide low voltage for 24 volt logic solid state circuit. hydro-pneumatic power saw arm lift to give controlled feed rates and adjustable clamping pressures. Pneumatic controlled vise to clamp material. Adjustable clamping pressure. Optional equipment: 10′ X 20″ Roller load table (attaches to saw). 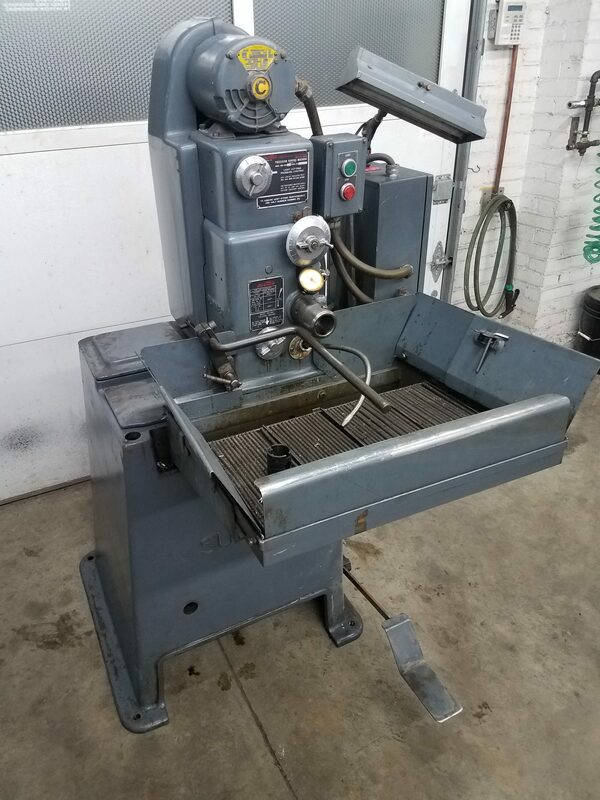 Falls D-Bur-r model 111 This machine will debur sheet metal from 24 gauge- 1/4″ Comes with extra cutters. It’s is powered by 110 volt single phase. Also have model 121 included for parts. 9″x42″ Table. 1 1/2 horsepower One Shot Lube System. Chrome ways in good condition Acurite DRO. New X and Y screws and Brass Nuts. power quill adjusted. Backlash on feed screws are-.010″ or lead and operate smoothly Mill is currently wired 230 volt 3 phase. Optional 9″x48″ Table. 2 horsepower One Shot Lube System. 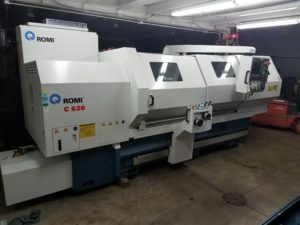 Chrome ways Good condition Sony Digital Read Out I just finished servicing mill including following work. Mill has been disassembled ,all oil galleies have been cleaned. Then was reassembled and adjusted. New variable speed belt New bearings in Variable speed. All drive pulleys have new bushing installed Power quill adjusted. Backlash on feed screws are-.010″ and operate smoothly Mill is currently wired 230 volt 3 phase.